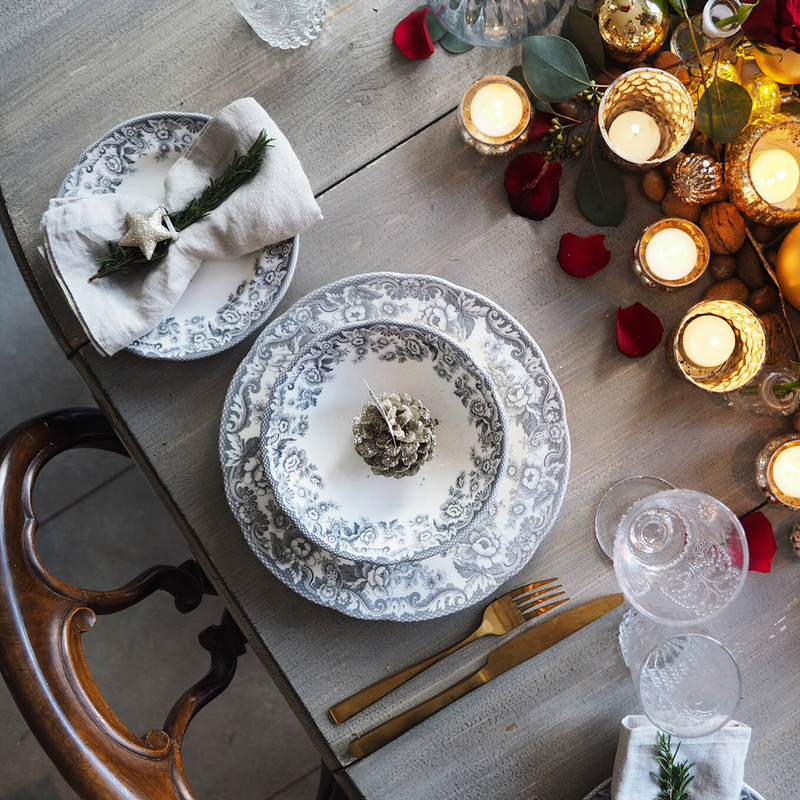 The Portmeirion Group contacted me to create a Christmas dining table using some of the most beautiful Spode tableware products. I love all of their products, so was thrilled to be a part of their campaign. I feel that we’ve strayed so far from Christmas tradition with past trends including flamingos and unicorns that I really wanted to bring everything back down to basics. Using Spode’s Delamere Rural crockery collection which is classically beautiful and complemented my table perfectly- I really enjoyed styling these pieces. Spode’s Delamere Rural range is so versatile and practically goes with any colourway. Keeping the table more traditional, I chose deeps reds, golds and natural greens for my table decor. In true Social Kitchen style, I added lots of candle lights to the table, creating ambience and warmth. The candlesticks I opted for were green and also pine scented. 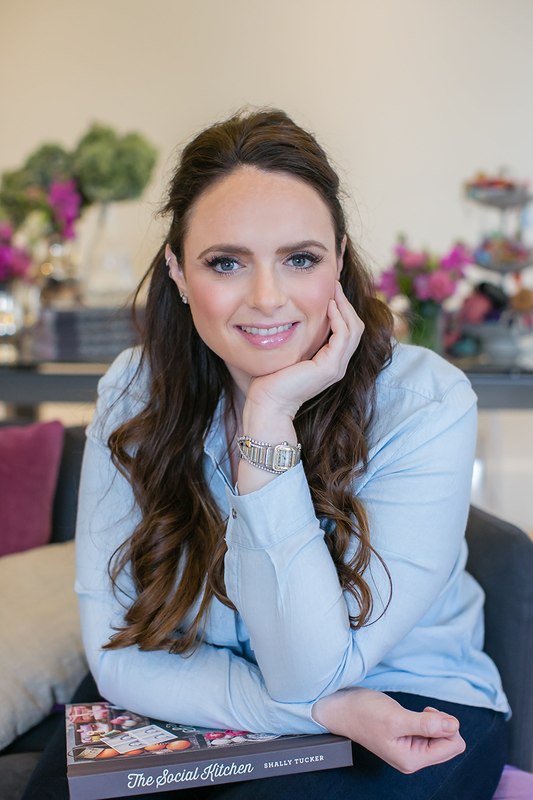 I brought these particular candlesticks on my trip to South Africa a few months ago but Yankee also does a fantastic pine tree scented range which I’ve linked for you here. Light these before everyone sits down to fill the room with a magical Christmas smell then see who notices the scent first. To create the name place, I decided to spray paint a pine cone which I collected from my Dad’s garden and simply stick a small name card in the top. I then placed this inside the Spode bowls but you could also place this in front of the place setting or on top of the side plates is you prefer. The side plates were decorated with a neutral coloured linen napkin which I tied with a piece of ribbon from my Mom’s box, then added a sprig of rosemary- again, this adds a rich herby smell to play with the senses. You could also use a green, gold or red napkin to tie in with the table decor, it simply comes down to preference, or whatever you have in your napkin collection. 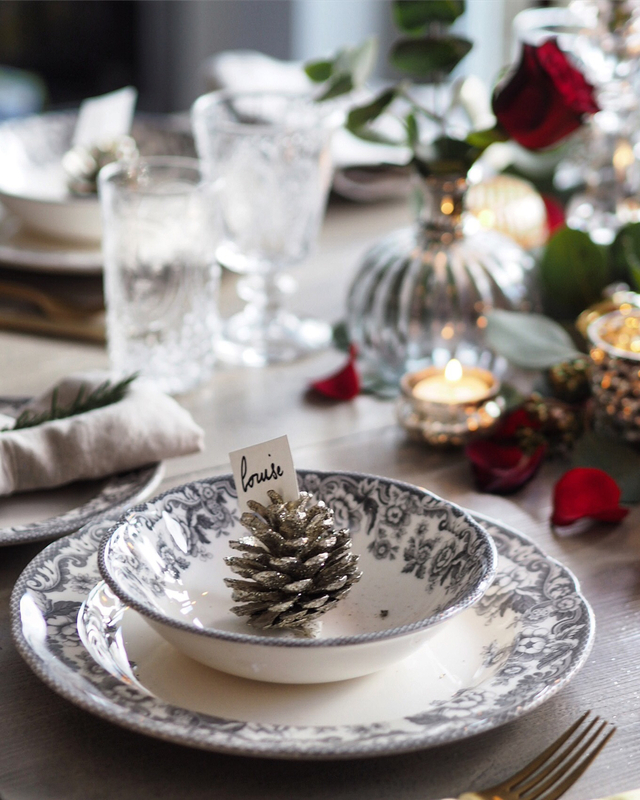 To recreate my place settings you can buy the entire Spode Delamere Rural collection from their website and it certainly won’t put you out of pocket. As I mentioned at the beginning of the post, this range really goes with everything and it’s certainly not a crockery set to be dusted off just for Christmas. I’ve already got ideas for using it at Easter with pale pastel colours. 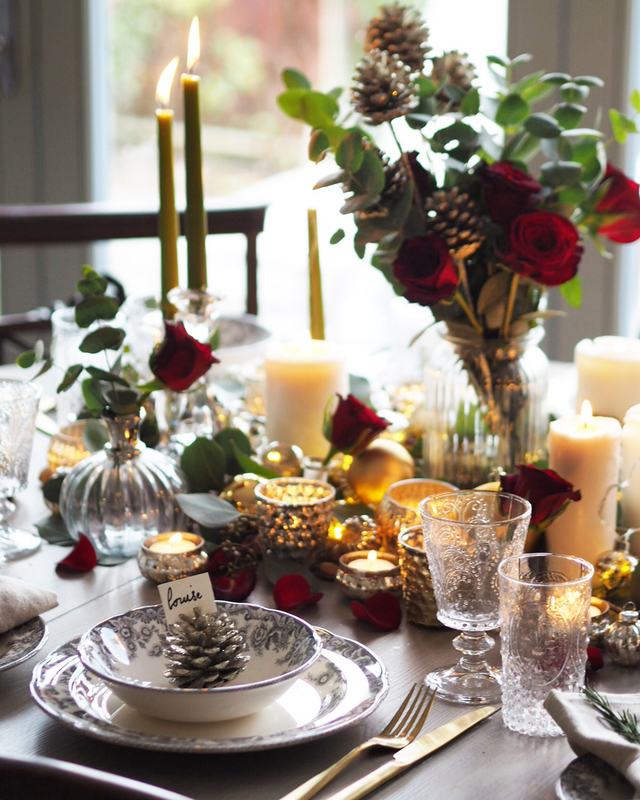 Whichever way you decide to decorate your Christmas table this year, I hope you have a lovely time celebrating the day with special friends and loved ones.